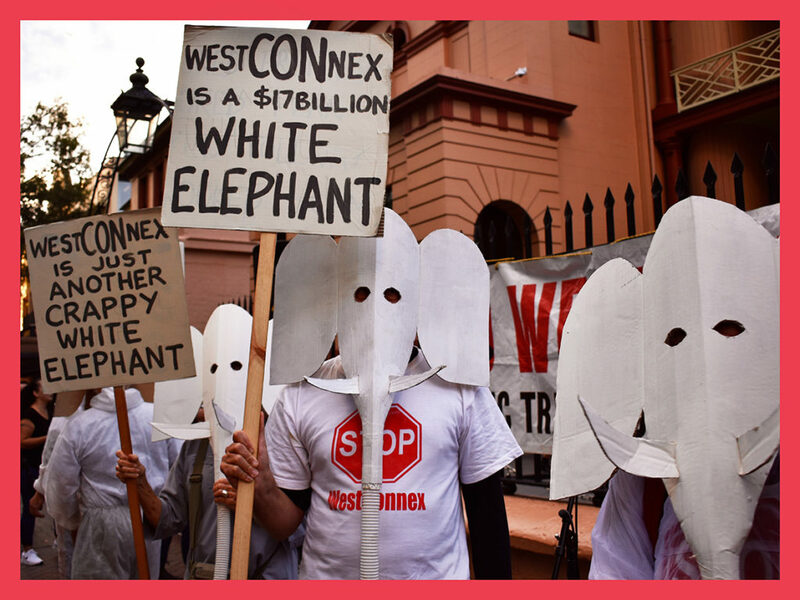 Sensitive Receivers: Rejecting WestCONnex… anti-WCX exhibition in Rozelle… 2 DAYS ONLY! Up on Victoria Road in Rozelle (where properties are already being acquired by the RMS) WCX proposes to demolish 27 homes and businesses for a tollway/tunnel no-one needs, nor will be able to afford ($109/week Parramatta to Rozelle). Spend the $45 billion on public transport! Original and editioned works, T-shirts, bin stickers for sale. Refreshments available + your WCX questions answered (for a modest donation!). Further info + screening times, ph. 9810 1402. ← Wherefore art thou, Labor?